New to hiking? Hiking with kids? Knees not up for intense climbing? These low-intensity, short-duration hikes might be for you. It’s one of the questions the Travel and Outdoors team gets most often: What are some trails that are actually approachable for beginning hikers? Happily, we live in a region where beautiful views abound, and there are plenty of ways to get to them without breaking out the mountaineering gear. 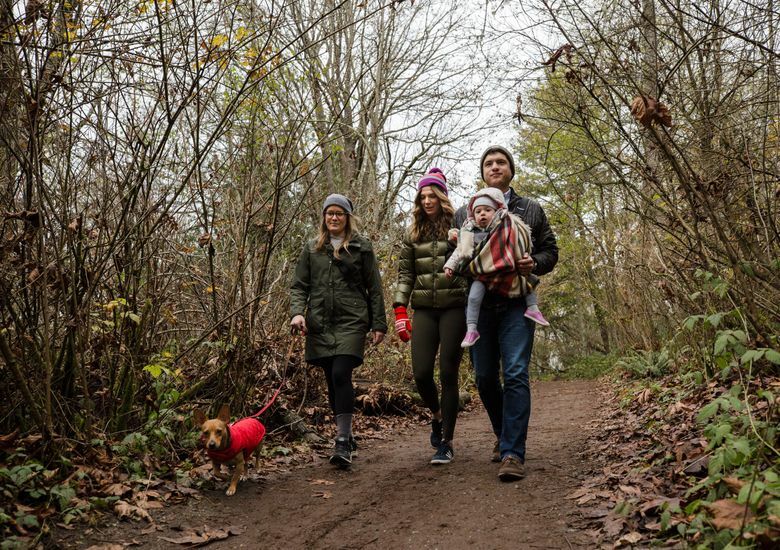 If you have weak knees, or need a kid-friendly adventure, low-intensity short-duration hikes can be a great way to get outside without getting short of breath (or having to carry tuckered-out children for the last few miles). Though what constitutes truly “easy” will depend on the person, these trails (all with elevation gains of less than 500 feet and total distances under 6 miles) are a good place to start for those uncertain of what they can handle. As always, make sure you pack your 10 Essentials, and check road and weather conditions before you head out. 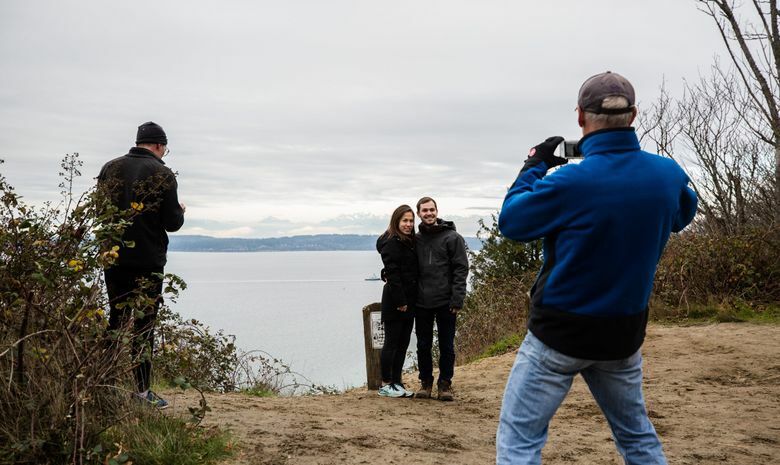 Right in Seattle, Discovery Park offers a of collection of mix-and-match trails, so you can craft a hike that’s just the right duration and difficulty for you. 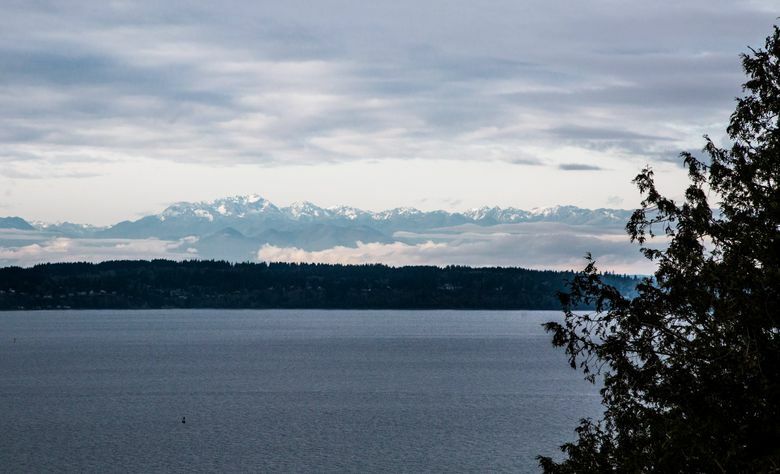 The Loop Trail is a great low-intensity beginner trail with views of Puget Sound. The trail starts and ends at the visitor center off of West Government Way. If you’re looking for a bit more than 2.8 miles, you can take a detour off the loop and onto one of the nearby trails to build a longer hike. Another perk: Real indoor restrooms at the visitor center and along the trail. Just off of I-5, 15 minutes east of Olympia, the Billy Frank Jr. Nisqually National Wildlife Refuge is a great spot for hiking and observing wildlife without having to hit the backcountry. The Nisqually Estuary Boardwalk Trail takes hikers through the refuge along a pathway elevated above the wetlands and water. There are several viewpoints along the way. The trail is also wheelchair-accessible. While you won’t need rugged hiking boots, make sure to wear shoes with some grip to them, as the boardwalk can get slippery. This one is great for kids. At 0.8 miles, the Hall of Mosses is a walk in the park, or, more accurately, the rain forest. 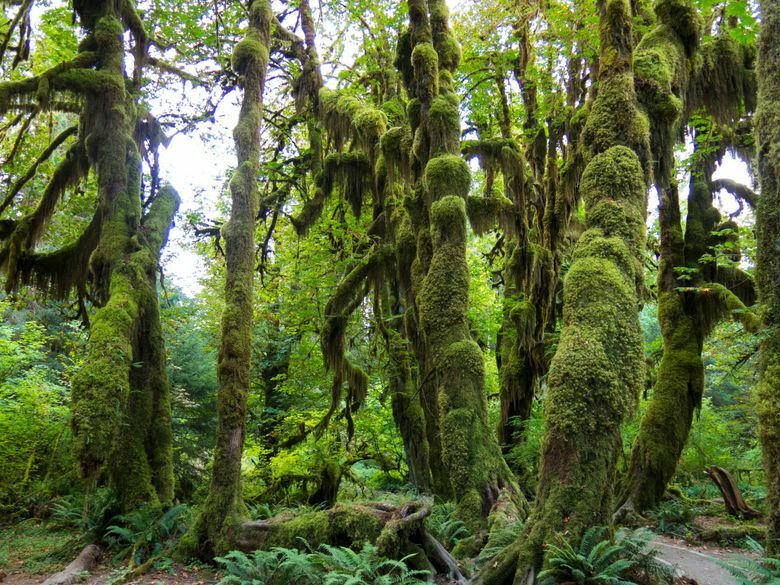 Located in the Hoh Rain Forest on the Olympic Peninsula, it’s a great intro to the rain forest and an easy hike. The bright-green moss hanging from massive trees creates an enchanted-forest vibe, especially when soft sunlight filters through. Mushroom-lovers will find a lot to get excited about here as well. The trail is popular and located right by the visitor center, so it can get a bit crowded, but you’re likely to find it clearer late in the fall or winter, and it’s just as beautiful at this time of year. Make sure to wear shoes you don’t mind getting dirty; it can get a bit muddy during rainier times. Got more walking in you? 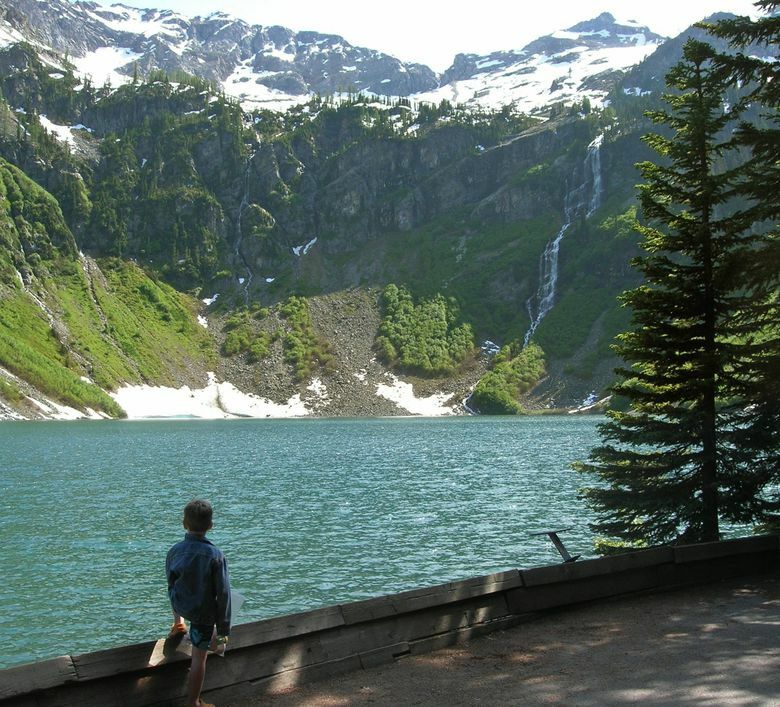 Extend your hike with the 1.2-mile Spruce Nature Trail to the Hoh River. 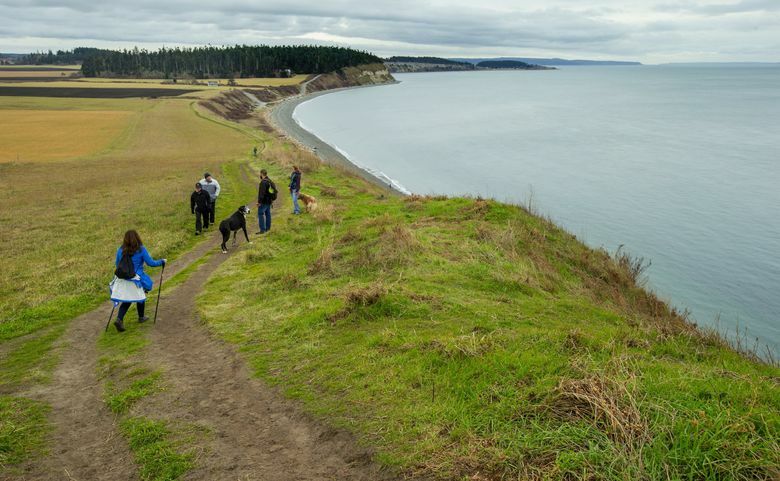 Beyond wonderful mountain hikes, Washington also has some great beach hikes, some within just a couple of hours of the city — like Whidbey Island’s Ebey’s Landing. If you’re looking for a short walk on the beach, start in the parking lot by Ebey’s Landing Road for a 3.5-mile hike along the beach. If you’re looking for just a couple of more miles, start your hike at the Prairie Overlook trailhead and enjoy beautiful views from the top of the bluffs. Just make sure to bring a jacket; it can get pretty windy near the water. To make it a full-day affair, grab lunch on the water in nearby Coupeville after you’ve worked up an appetite. With 13 miles worth of short trails you can combine to create the best hike for you, Paradise Valley Conservation Area is a great place for newbie hikers to get started. A hike on the trails that circle the entire area will give you a solid 5 miles, but with a map in hand you can meander through old-growth forest rich with life on your own time. A beautiful hike in the middle of the Cascades, Rainy Pass is a fairly easy route with only a couple of small climbs and descents. You’ll be rewarded with a stunning view of Rainy Lake. The path is paved and wheelchair-accessible, but snow can make it a bit more difficult to navigate.